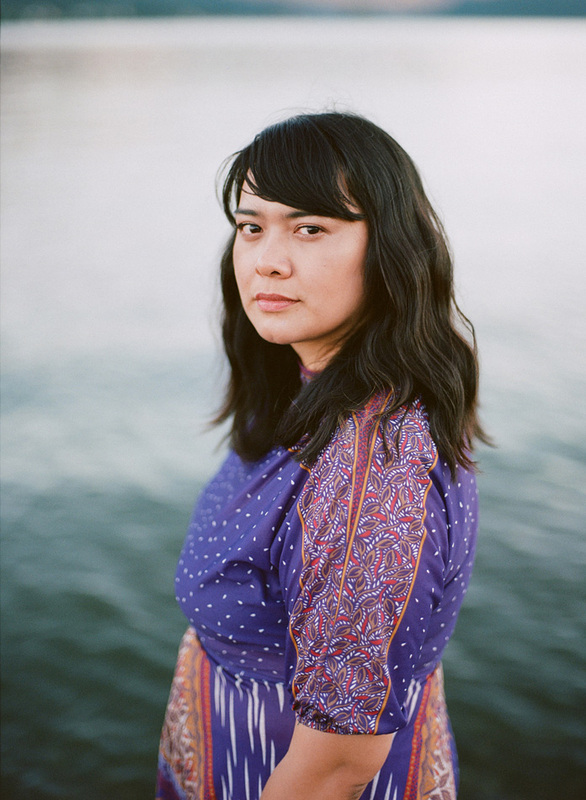 In 2018 Black Belt Eagle Scout, aka Katherine Paul, issued one of the debut records of the year. Mother of My Children is a deeply personal rumination on love and loss, but it's also an indie-rock album that is charged with Paul's identity as an indigenous, queer woman. From the brokenhearted blazing defiance of "Soft Stud" through the meditative, indigenous environmental concerns of "Indians Never Die," the lines between private concerns and wider societal issues often intertwine. For Paul the confluence is deliberate: "I believe that the personal is political. I also believe that what I am doing is political." With that in mind, does Paul worry that it is harder for indigenous people to get their voices heard in the creative industries? "Yes and no," she responds. "There are a lot of native people who are doing things but I don't feel like their heritage is talked about. So, maybe that's a personal thing for these people, but the way that I've been taught is, always be proud of who you are and to share your knowledge and your customs." Alongside the more personal facets of her music, for Paul, sharing her heritage is of equal importance. "I'm so upfront about my identity," she explains. "I want to keep talking about it because I want people who are like me to be able to have their stories shared." But does she struggle with reconciling her identity with wider American culture? "I'm having a hard time answering this because part of me is like, 'Well, I live in America where the goal of European colonizers was to kill native people.' I'm living in a society where people don't, historically, want me around, so it's hard." "I'm thinking about that but also thinking about all of the amazing native artists and all of the amazing native musicians who are out there," she continues. "I think there's a difference within this question, because I think within native communities there are native leaders that are well known, but the difference is stepping out into a white culture, stepping out into a culture that [has that], you know, 'I'm proud to be an American citizen,' that sort of mentality. We talk about living in two worlds, we talk about living in our indigenous world and then stepping into and trying to live in the white world." A record number of indigenous women are running for office in the 2018 midterm election. It's a clear act of stepping into the white world and giving voice to two underrepresented groups in American politics, women and indigenous people. In addition to Trump's presidency and the #MeToo movement, Paul sees the rise as a reaction to times that are just, generally, "pretty scary," and moreover, "I feel like indigenous people have always been political people." And she is positive about a future with more representation: "Now we're trying to get into the mainstream of politics to say 'here's who we are, and we want to make these changes and include indigenous voices." Paul has witnessed a wellspring of native voices since the surge in candidates. "I follow this clothing designer called Yellowtail and he's doing this campaign to support all of the indigenous women running for office called She Represents. It's incredible being able to learn about so many indigenous women, reading what my friends are into through social media, and having the knowledge of all these indigenous women who are trying to make a difference in their communities with a specific point of including indigenous voices in our government." That's not to say those among the numbers running for office hasn't thrown up some surprises. "It's funny because the majority of the women that are running for office are Democrats, but there are a few Republicans. I don't know about that," Paul laughs, "but...I love that the majority, the vast majority, of indigenous women that are running are under liberal platforms." It does seem curious that an indigenous candidate, male or female, would campaign for and within the GOP. Paul seems equally baffled. "Part of me is like, 'Who were you raised by to become a Republican? Like, what happened in your life? Were you adopted out or something? I don't know?'" she laughs. Conservative anomalies aside, how does Paul think a greater indigenous voice in mainstream politics will affect the country? "I think one of the things that indigenous people are really passionate about is the environment, and especially because we have such a sacred connection to it," she offers. It's certainly a theme that runs deep in her music and one that stems from her heritage. "I hope that we can see that the environment is taken care of a lot better than it is now if we have more indigenous people in office," she explains. "Being able to preserve and to care for the land that we all live on, and being able to fight global warming and climate change and all of the fracking that's going on. This is our beautiful land that we live on. I know that for a lot of native people that's at the top of their list. To try and save the planet basically." Diversity in politics creates a healthier discourse across society and around modern crises like climate change, and while Paul recognizes that she also believes change also begins at a grassroots level. "People on these platforms can create awareness, but it doesn't even have to be on a state level," she says. "Just be a leader to your friends and your family, be a leader to your neighborhood, be a leader to your tribe and reservation. I'm all for all of this, all of the indigenous women that are running for office right now." Katherine Paul unreservedly practices what she preaches by embracing and promoting her identity through her music. "I'm aware that I'm not a regular white dude indie rocker," she concludes. "I have a story that I'm trying to tell, and it's not a general story that everyone hears every day. I think there will always be politics in the songs that I write because of who I am and what I feel about the world."